The minimalist but creepy The Snowman teaser poster for Universal Pictures’ new suspense thriller (in Philippine cinemas Nov. 01, 2017) has just been unveiled online and may be seen below. 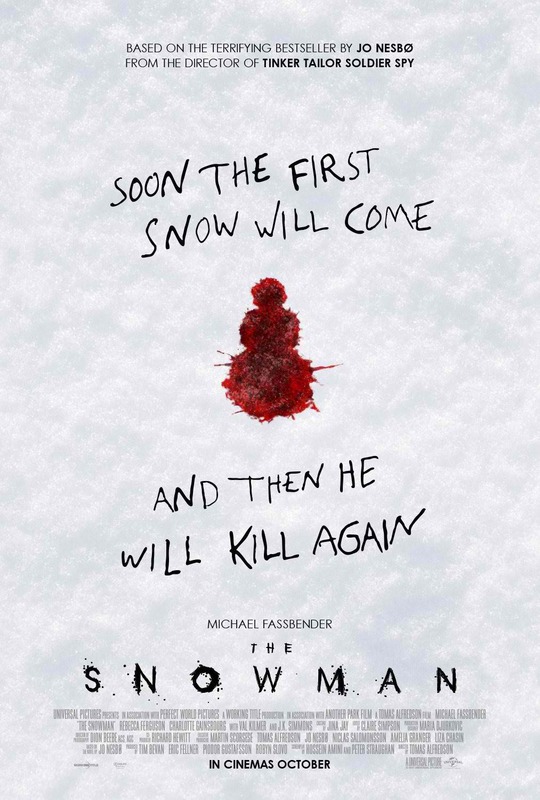 In the film, when an elite crime squad’s lead detective (Fassbender) investigates the disappearance of a victim on the first snow of winter, he fears an elusive serial killer may be active again. With the help of a brilliant recruit (Ferguson), the cop must connect decades-old cold cases to the brutal new one if he hopes to outwit this unthinkable evil before the next snowfall. Next story Danganronpa V3: Killing Harmony Release Date Announced!